I love making wreaths, so when my friend Amanda asked if I could come up with a cactus wreath for a cactus-themed baby shower she was hosting, I happily accepted the challenge! The result was this prickly pear cactus wreath inspired by these wreaths I’ve seen in San Antonio using real cactus pads. However, for the Design Improvised version, we’re using paper plates. 🙂 They are nice and sturdy, have a bit of a curve to them that makes the cactus pads seem more lifelike…and the price is right! 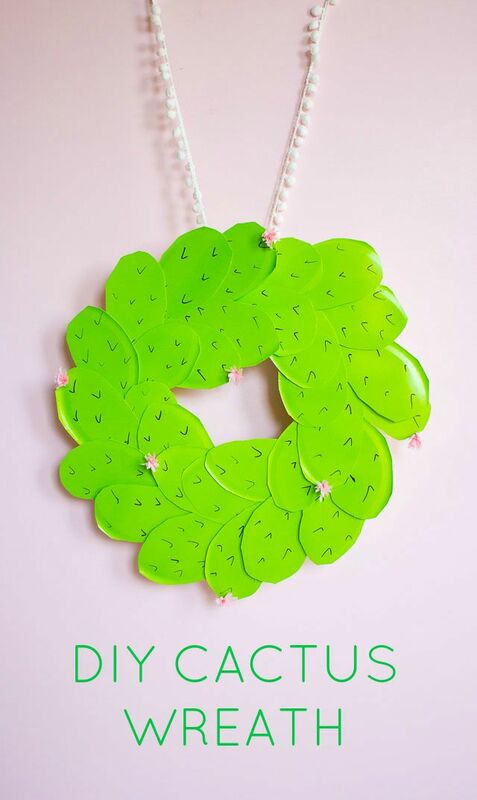 For those of you loving the cactus trend, this is the wreath for you! 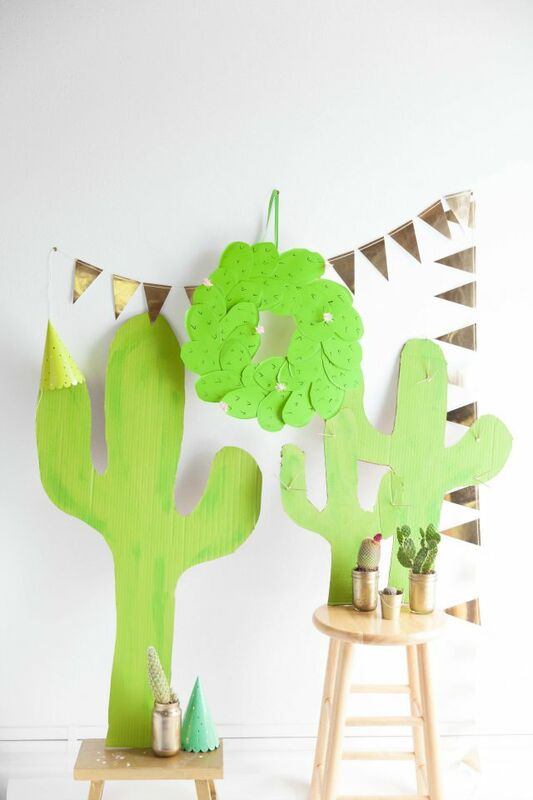 It could be a fun addition to a door year-round, an alternative to the traditional holiday wreath, and cactus party decor. 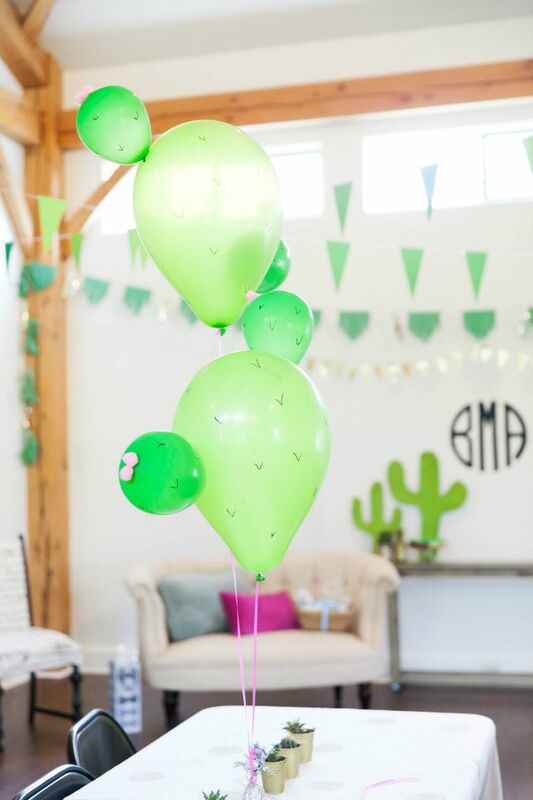 Amanda’s cactus themed baby shower turned out so cute, and in addition to the wreath, my cactus balloons made an appearance! 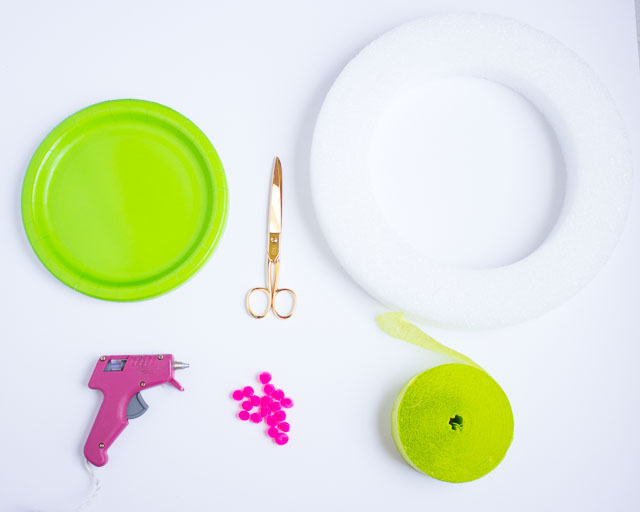 You can find all the party details on Handmade Mood. 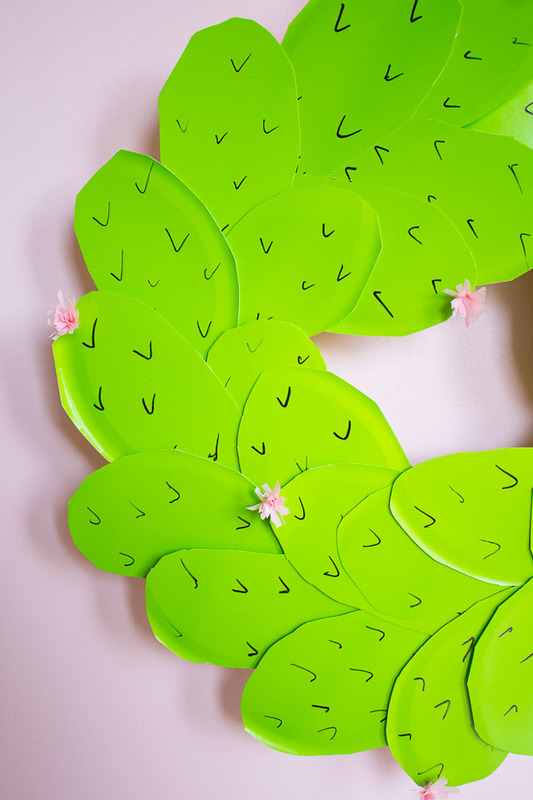 Read on to see how easy it is to make your own cactus wreath! 1. 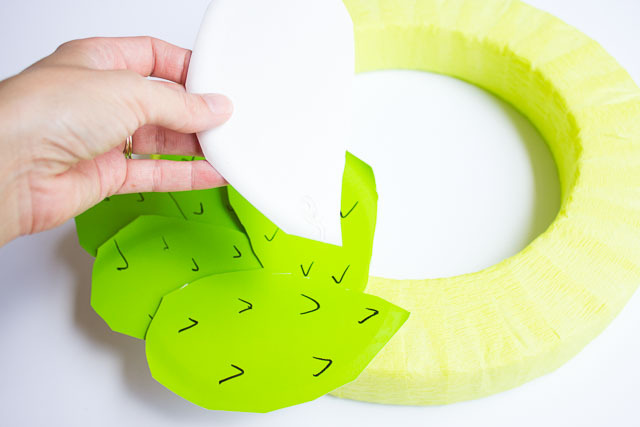 Wrap the wreath form in green crepe paper (the least expensive option!) or ribbon and secure the end with a dab of glue. 2. 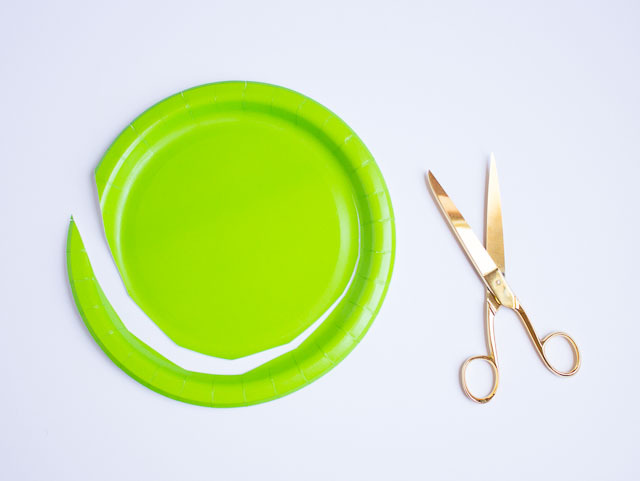 Cut off the rim of the paper plates, leaving the center part. You will be able to make two cactus pads from this center piece. 3. 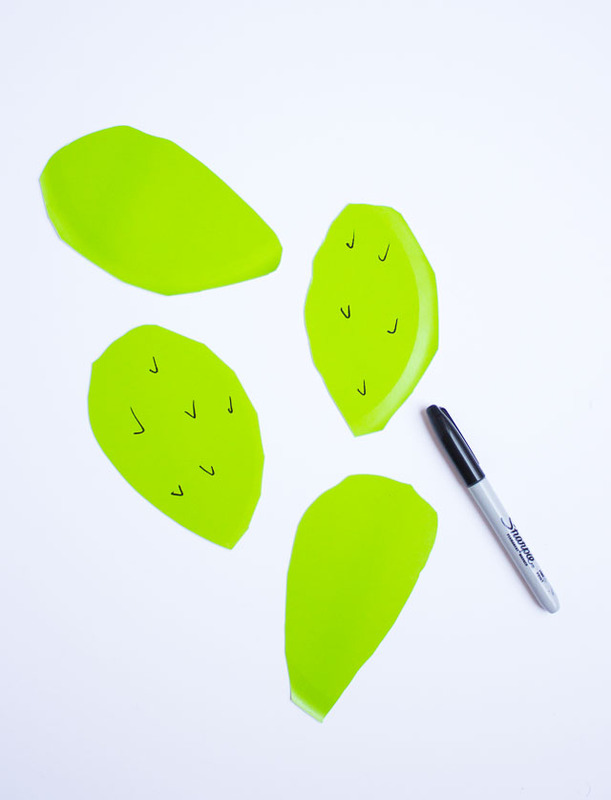 Free-hand cut two cactus pads from a paper plate and draw a few spikes on it with a black marker. 4. Once you’ve made around 35 cactus pads you can add them to the wreath form with a dab of hot glue on the bottom of the back side. I layered mine in groups of twos around the wreath to mimic the look of this wreath. 5. If you want you can embellish with a few cactus “flowers”. I ended up making a few simple crepe paper streamer flowers and adding them to the top of a few cactus pads with a dab of hot glue. 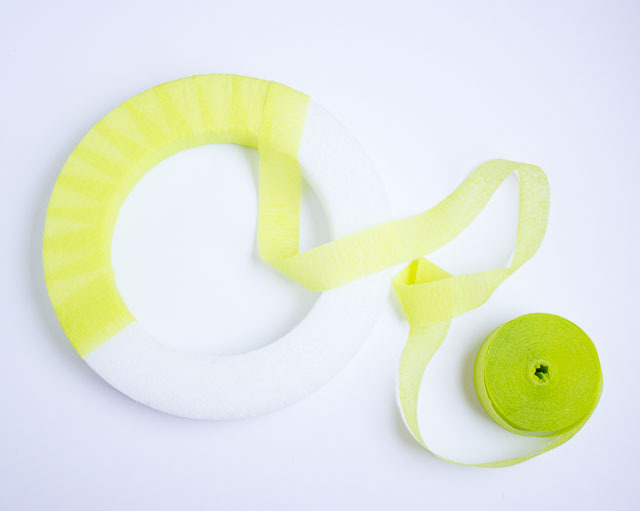 Finish by hanging with a pretty ribbon (my choice is pom-pom ribbon of course)!